My boyfriend and I carry boxes in our trunks. His boxes are filled with dietary supplements, since he is a salesman and mine are filled with snacks and sodas, lots and lots of sodas. Why, why do I have family sized boxes of snacks and drinks in my trunk? Because my children can be very piggy. I am one of those warehouse foods shoppers and though I love the value in getting more bang for my buck, I do not love it when the kids either waste or go through these boxes like they have been starving for months. Last time I brought 4 cases of sodas, Starbucks drinks and other snacks in the house, they were gone in less than 4 days, and that is not okay with me. 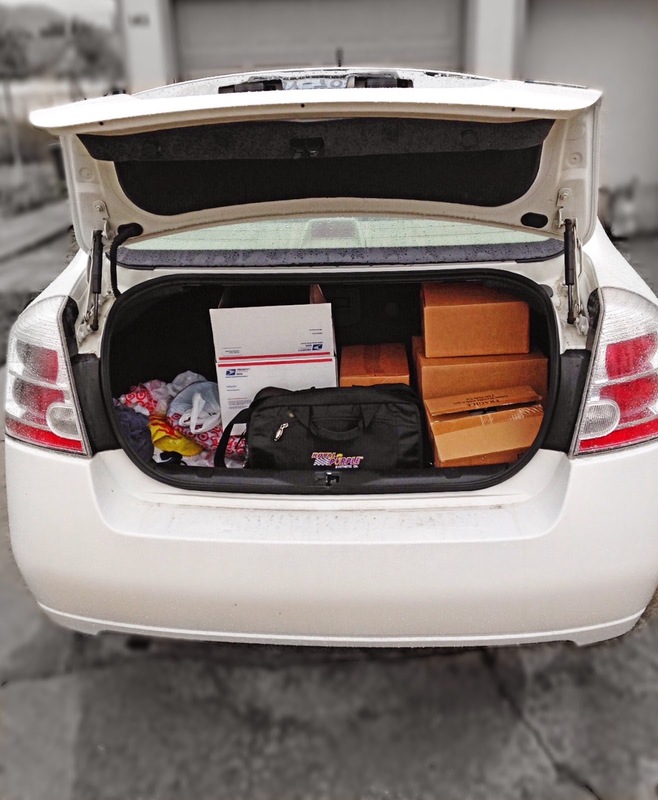 Therefore, I keep them in my trunk, which is quite a pain in the rear but so far the only way that I can keep everything from being ravaged in a day or two. That's my mom story of the day, and if you have kids, I hope you can sort of relate and not just think I am some sort of weirdo. State Farm recently took a survey of the 13 randomly weird things found in trunks and the results are pretty hilarious. Some of them were strangely familiar though, like the one of the 60 watermelons, I mean I have not had 60 watermelons in my car but I have had at least 8. Strange? I'm Mexican and Mexican's love sandia, so nothing strange there my friends. I have also at some point had 40 mangos - because I love to buy my favorite fruit in bulk too! Latinos are pretty quirky and I bet if we gathered a lot of us in a parking lot and had everyone open their trunks, we would find some really strange stuff. But what about the stuff we should actually have in our trunks, especially with winter rain and snow storms headed our way? State Farm is also sharing some safety tips that can help us stay safe on the road. 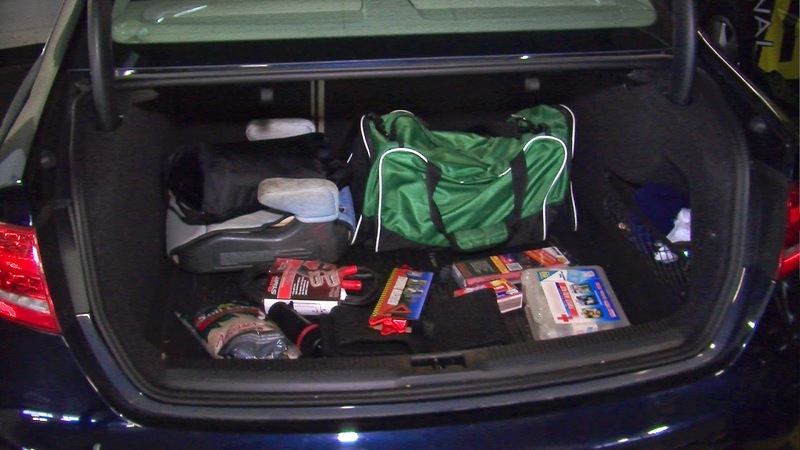 Prep and pack an emergency kit to keep in your trunk. You don't have to get rid of all the junk in your trunk, simply make some space for an emergency kit and other items you might need while on the road. This coming winter can be a dangerous time on the roads, but with State Farm's tips, we can be prepared to face them. State Farm wants to know what you have in your trunk and by sharing with us you have a chance to win a $50 gift card. COMPLETE THE PHRASE: The funniest thing I’ve ever had in my trunk is:_______________. @StateFarmLatino #InviernoSeguro #TrunkJunk and put your entries into the Rafflecopter form below.